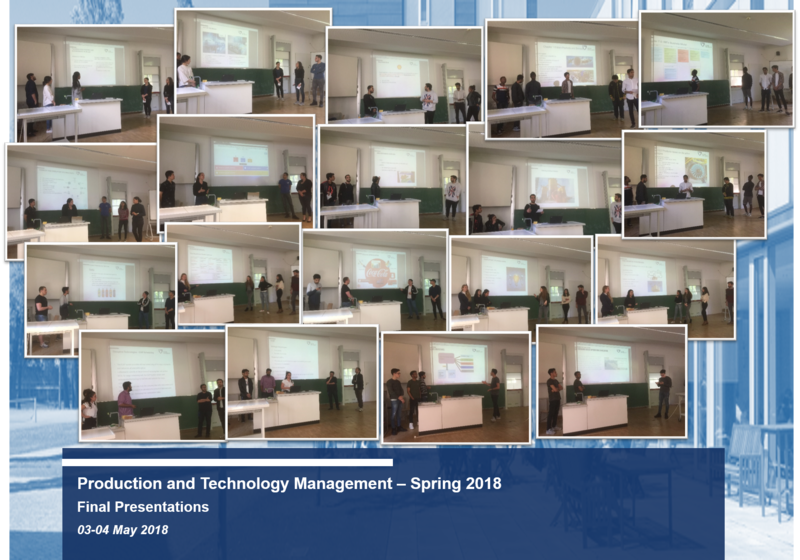 On 3-4 May 2018, the PTM students gave the final presentations of their project works. The participants of PTM course were divided into nine groups with 5-6 members from at least three different countries in each group. The multinational groups had to analyze different industry 4.0 technologies, e.g. Internet of things, 3D printing, big data, etc. and their potential applications in different sectors, e.g. automotive, food and beverages, retail, city/municipality, aerospace, etc. 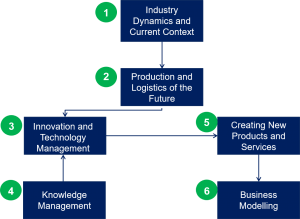 They also presented innovation and technology management concepts to introduce the new technologies in a company and also knowledge management approaches to manage knowledge related to the new technologies. Finally, they demonstrated new products and services that can be created from innovations using the new technologies and the corresponding business models. Congratulations to the PTM students of Spring 2018 for completing the project work! Good luck for the upcoming PTM exam!